Diskobolos of Myron, the thrower of the discus in the Olympics and other Panhellenic games. The marble statue dates to the fifth century BCE. Museo Nazionale Romano, Rome. Courtesy Wikipedia. If you can escape the toxic vortex of the twenty-first century and dream of a time our world was being born, you would have to travel to ancient Greece. Hellenes (Greeks) have always called their country Hellas (Greece). But Hellas was not one country but something like a couple of thousands small states spread all over mainland Greece and the Mediterranean. Hellas was the Greek United Nations: employing the diplomatic niceties of peace but perpetually bickering and, often, fighting border conflicts and, sometimes, real wars. Yes, the Greeks of hundreds of states were one people with the same language, piety for the same Olympian gods, and similar traditions like reading Homer and investigating the natural world and the heavens. The best of the Greeks, including Homer, embraced the education of the mind. But they also added athletics as an end and a means to an end: educate the Greeks to live well and preserve their freedom. Athletics meant competing peacefully in sprint and long distance footraces, throwing of discus and the javelin, jumping, wrestling, boxing and horse and chariot races in order to tame the violent in human nature while, at the same time, honoring the gods that made their athletic and other achievements possible. The religious dimension of Greek athletics was ancient and powerful. It’s impossible to separate athletics from the worship of the gods. The Olympics celebrated Zeus; the games at Delphi honored Apollo; the Isthmian games in Corinth centered on Poseidon; in Nemea and Dodona in Epiros in northern Greece, Zeus was the divine sponsor of the games. 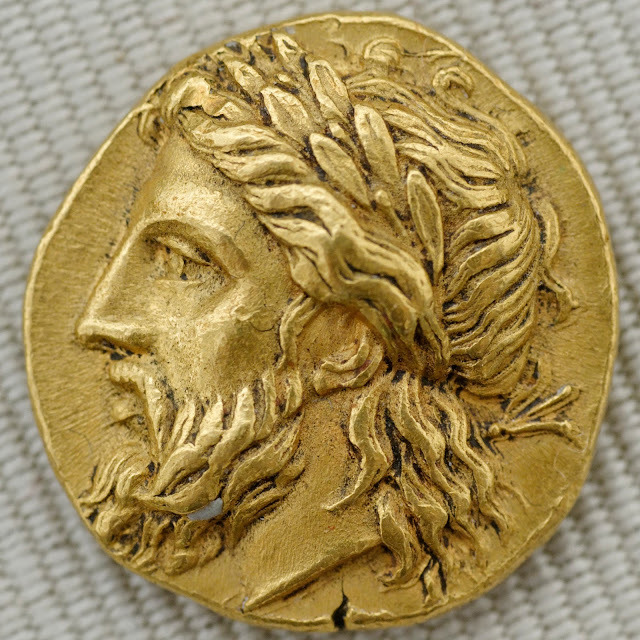 Gold coin representing Zeus from Lampsakos, a polis in the Troad in northwestern Asia Minor (Greek Ionia). Coin dares to about 360 BCE. Courtesy Wikipedia. Pausanias, a Greek doctor from Asia who toured Greece in the second century, said that Greece was a land full of sights and memorable stories. But nothing in Greece did Zeus bless more than the Olympic games (Guide to Greece 5.10.1). The sibling to athletics was the cultivation of the mind with works of civilization: reading and writing, geometry, astronomy, philosophy, poetry, theater, sculpture, painting, architecture, and technology. The Academy of Plato and the Lyceum of Aristotle included a palaistra (wrestling) school for the vigorous physical education of the students. Palaistra or wrestling school in Olympia. The teaching of sports in the Palaistra complemented the teaching of Greek, trigonometry, astronomy, philosophy and the arts of civilization. Photo courtesy of Wikipedia. The Greeks knew they had to find a way out of strife and civil wars. Enemies surrounded most of their small poleis. If they failed to tone down their aggressive competitiveness, they were doomed. Herakles offered an alternative way to the politics of hubris. He was born in Thebes the son of Zeus and a mortal mother, Alkmene. He was a powerful demigod with great virtues and tremendous courage and fortitude. He became the greatest hero of the Greeks through good works: killing monsters and evildoers. He served the common interest. Pindar, 518-after 440 BCE, the Theban lyric poet credits Herakles with the founding of the Olympics (Olympian 2.1-7). It’s quite possible he did. Among other honors, the Greeks thought of Herakles as the patron god of athletes. Another hero sharing with Herakles the honor of establishing the Olympics is Pelops dating from the late second millennium BCE. Peloponnesos means the island of Pelops. This was a daring man. When he heard that Oinomeos, king of Pisa, challenged any one to compete with him in a chariot race, he volunteered. Pelops won the contest and killed Oinomaos. He married a woman horse-tamer, Hippodameia, daughter of Oinomeos. The third possible influence in the founding of the Olympics comes from Achilles, king of Phthia in Thessaly. His mother was Thetis, a sea-nymph daughter of the sea-god Nereus. Achilles was the greatest Greek hero in the Trojan War. His uncontrollable wrath shaped the ten-year conflict. The death of his best friend, Patroklos, shocked him so much he reentered the war and killed Hektor, a Trojan hero who had killed Patroklos. Achilles honored Patroklos by sponsoring athletic competitions. The prizes for the victors in the Patroklos funeral games go to the first, second and third winner – a tradition dropped in the Olympics that rewards only the first winner. Achilles sponsored the following games: chariot race, boxing, wrestling, footrace, close combat, discus and javelin throwing, and bow and arrow competition. 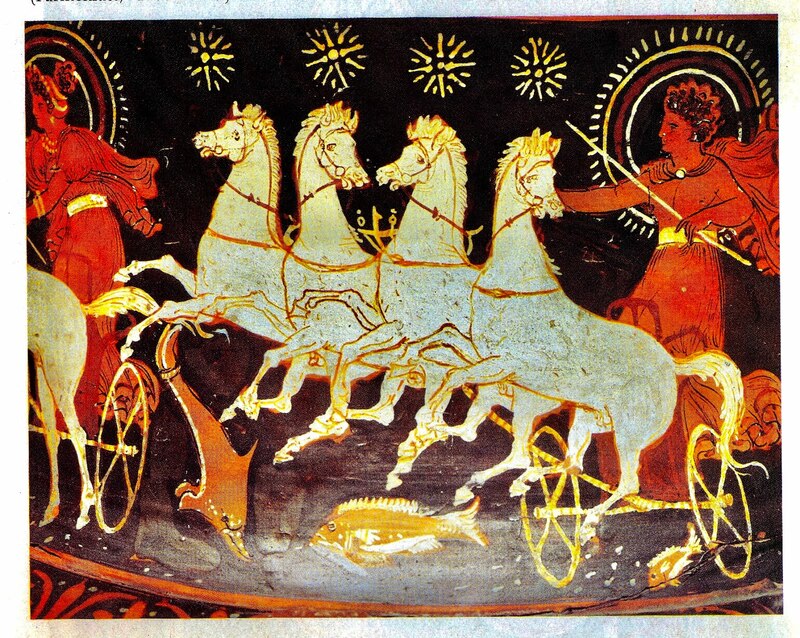 He was generous with the prizes, which included gold, iron, cauldrons, tripods, mixing bowls, a “silver-studded sword,” horses, mules, oxen, and “beautifully girdled women.” Achilles is proud for his solid-footed horses because they were immortal, gift of Poseidon to his father Peleus (Homer, Iliad 23.256-24.6). Homer also briefly mentions athletics when Odysseus finally arrives in Phaiakia (Kerkyra), his last stop before arriving home at Ithaca. Young men of Phaiakia compete at jumping, running, boxing, wrestling, and the throwing of discus. In fact, one of those young me, Laodamas, invites Odysseus to try his hand at some sport. 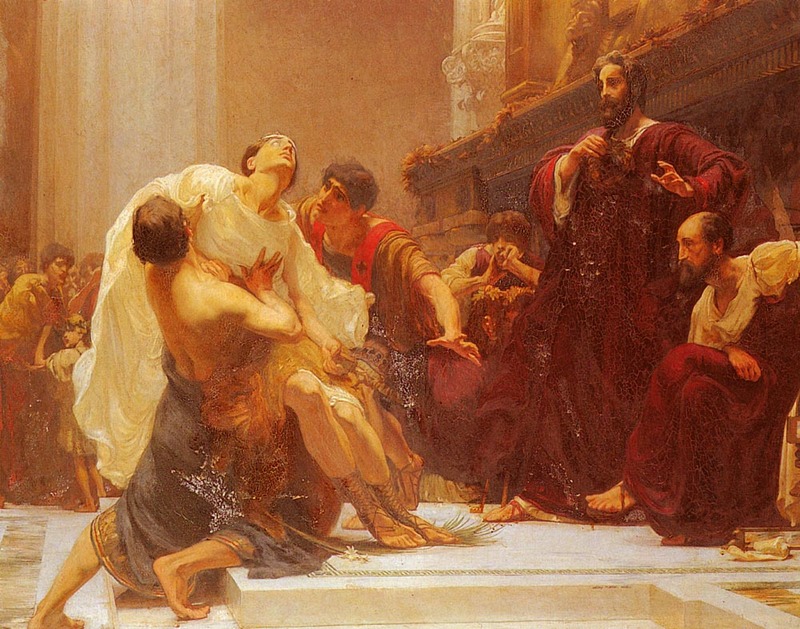 “There’s no greater fame a man earns in life than the glory he wins with his feet and hands,” Laodamas tells Odysseus. Another young man, Euryalos, insults Odysseus, telling him he looked more like a captain of a ship rather than an athlete. This angers Odysseus. He grabs a discus and throws it further than any local. Then he tells the Phaialians he was the best in athletics among the Greeks at Troy (Odyssey 8.97-253). The very ancient religious-athletic traditions of the Greeks finally found a formal expression in the Olympics in Olympia located in northwestern Peloponnesos. This is early eighth century BCE – a time of troubles for Greece. Pausanias reported that Iphitos started the Olympics. Iphitos, a prince from Elis, a polis about forty kilometers north of Olympia, consulted the Oracle of Apollo at Delphi. The priestess of Apollo told him he and the people of Elis should revive the Olympics, including the Olympic Truce or ekecheiria (holding of hands) (Guide to Greece 5.4.5-6). Iphytos did that and the first Olympiad took place in 776 BCE. The only game in the first Olympiad was the stadion, a sprint footrace of about 200 meters. The people of Elis administered the Olympics for centuries. They built the infrastructure for the quadrennial games. The magnificent temple of Zeus was at the center of the Olympics. In early fifth century BCE, Pheidias sculpted the statue of Zeus from gold and ivory (chryselephantine). On his right hand, the seated god held a two-meter statue of Nike, goddess of victory. Zeus Nikephoros (Zeus holding Nike, goddess of victory). Alexandrian Age, 2nd-1st centuries, BCE. Courtesy Wikipedia. Every four years, Greek athletes and thousands of spectators gathered at Olympia for a truly great athletic competition and a magnificent festival of food, entertainment, and renewal of the Greek identity -- Hellenism. Writers read their work. Politicians spread their ideas. Dancers and musicians produced shows. Greeks from one polis met Greeks from all over Greece and the Mediterranean. They talked about the athletes and their hopes and fears. The Olympics became a meeting place for understanding and fixing Greece. The Olympic Truce, the holding of hands, forbade conflict around the time for a new Olympiad. Yes, the ekecheiria was a small step, but it helped in building a more cohesive and civilized country. Not every Greek loved the Olympics. In late fifth century BCE, the poet Euripides denounced the festival as a waste of time and the athletes as evil, being slaves to their jaws and servants to their belies. Instead of watching athletes and taking part in useless pleasures, Euripides urged the Greeks to honor good and virtuous men governing poleis and other men with good ideas for the abolition of strife and war (Autolykos, fragment 282). Seven hundred years after Euripides, Galen, the greatest Greek physician since Hippokrates, associated athletes with pigs, force-feeding themselves flesh and blood (Galen, Exhortation for Medicine 9-14). Euripides and Galen missed the significance of the Olympics. Like dozens of Panhellenic athletic and religious festivals, the Olympics gave meaning of what it was to be Greek. They were laboratories searching for the magic of what keeps people civilized. Pausanias tells us that athletes learned that not money but swiftness of foot or strength of body win Olympic victories. In addition, Pausanias reports that athletes and their fathers, brothers and coaches took an oath in front of a bronze statue of Zeus of Oaths (Zeus Horkios). Zeus was holding a silver-plated thunderbolt in each hand. The athletes and their supporters and trainers stood in front of the statue and slices of meat from a boar sacrificed in honor of Zeus. They swore not to shame the Olympics by bribes or other unethical conduct (Guide to Greece 5.21.2-4; 5.24.9-10). Death of Ladas by George Murray, 1899. The runner Ladas is dying while receiving the crown of victory at the Olympics. Courtesy Wikipedia. We learn from Lucian, a second century Greek writer that the spectator in the Olympics would probably find himself in the midst of huge cheering crowds. One could barely help but admire the virtues of the athletes: their physical beauty, dramatic skills and daring, enormous pride and unbeatable tenacity and passion for victory. It was not surprising that one could hardly stop cheering and applauding the athletes and the games (Anacharsis 9-14). But the most exalted treatment of athletes was that of Pindar. He made a living by praising victorious athletes. He said an athletic victory brings beauty to a manly deed, lifting the mind above the “pursuit of money.” Man, Pindar said, is ephemeral. What is he and what is he not? Man is a dream of a shadow. Yet, when the gods bless men with a ray of sunshine, a brilliant light settles on them. Their lives become gentle (Pythian Ode 8.70-98). The Olympics lasted for 1,167 years. In 393 of our common era, the Christian emperor Theodosius I brought them to an end. 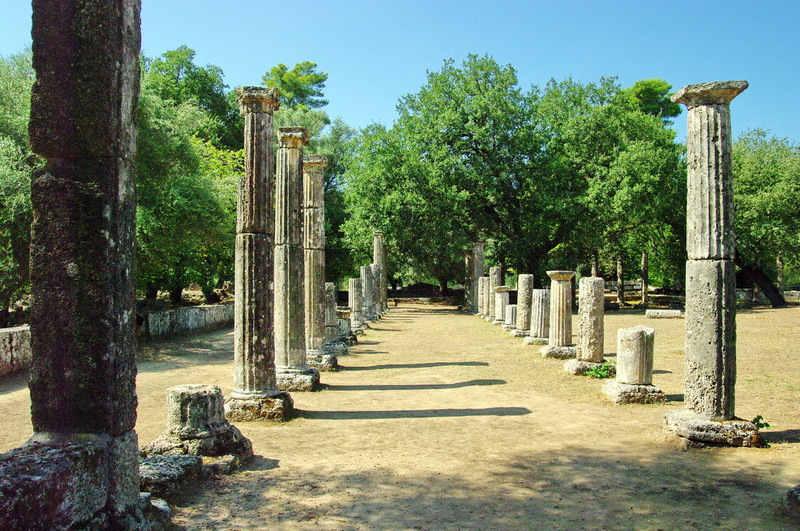 Unearthed ruins of the temple of Zeus in Olympia. Courtesy Wikipedia. A millennium-and-a-half later, Greek and French intellectuals revived them. The first modern Olympics took place in Athens in 1896. 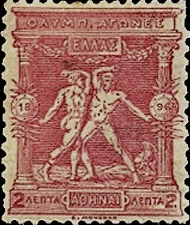 Greek postage stamp honoring the first modern Olympics in Athens, Greece, 1896. The Olympics remain an indelible Greek gift to humanity. They are a tradition of enormous potential for the improvement of the human condition – especially making athletes and spectators of sport virtuous and diminishing men’s hunger for war. 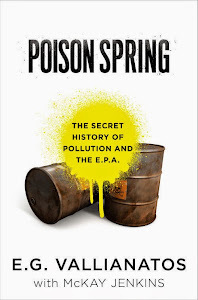 Community Rights or Corporate Hegemony in Oregon?